Scrapbooks.... Where should I start? I'm interested in looking at making a few scrapbooks of some sort to house memories of my son from when he entered this world till now, vacations we have taken and so forth. I have tons of photos and a few souvenirs that I've kept along the way. Can anyone suggest some tips on how I can begin to start creating my first one? 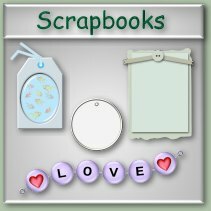 are there ready made scrapbooks I can buy? or is it best to start from scratch and create them yourself? Please share, thanks in advance! i would look at your pictures and divide them into categories/seasons maybe being the first one. then if it was a certain event our outing (say a picnic, i would use a red and white checked paper/red background and see if i could get ant stickers or bug stickers) something like that. There are scrapbooks you can buy for special interests. But I found it more enjoyable and rewarding by starting from scratch. I'm made two, one for each of my daughter's graduating children the past two years. I bought all the goodies, scrapbook with pages, different papers according to the sport they were in, a book full of snap outs that paste in the scrapbook, letters - just hundreds of things. I also purchased extra pages since I had lots of things to include. My grandson's was full of football memories with lots of newspaper articles. My granddaughter was a soccer player, so hers was around that, but it also included other memories to fill the book. They were both thrilled to get them. I'm sure their Mom will make sure they are taken care of until they get married and know how to keep them. When you begin, just lay out the things you want to use and group them in the way you want them to be in your album. I started from early dates and went forward. My granddaughter's started with early pictures of her and then K-12th grade pictures and events over the years. If you have two many for one album, do more. You will have fun doing it and your son will enjoy looking at them later.